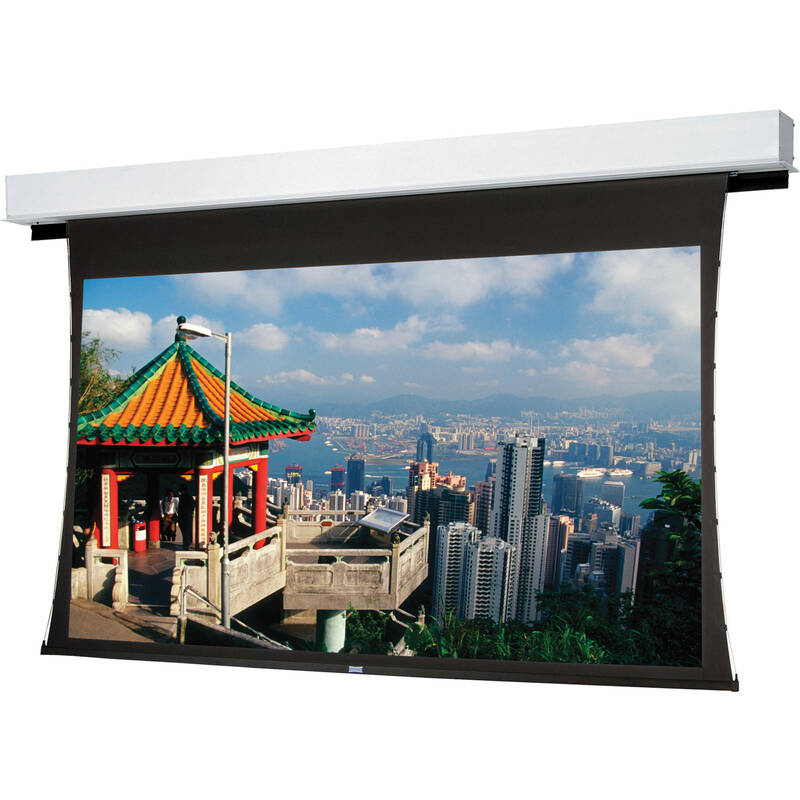 For larger venue installs, the 220V 24866E Tensioned Large Advantage Deluxe Electrol 135 x 240" Ceiling Recessed Motorized Screen from Da-Lite is designed to eliminate the extra step of finishing the screen with trim. The Advantage line of projection screens is designed with ceiling trim already in place. Once the case is installed, the integrated trim conceals the rough opening, eliminating the need to complete additional trim work. Sliding installation brackets make it easy to attach the screen housing to the structure above the drop ceiling.